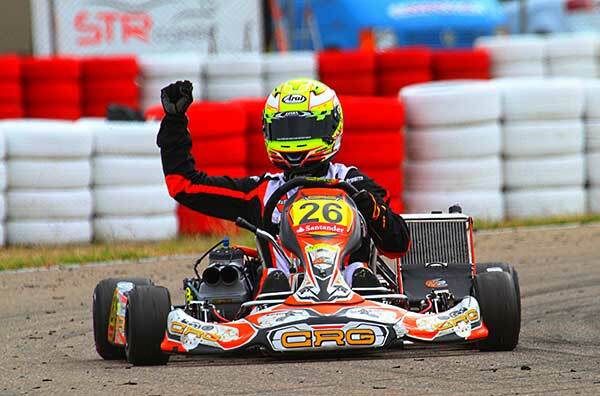 The fifth round of the Spanish Championship in Zuera crowned Enrico Prosperi the new KZ2 Spanish Champion on CRG-Tm. The driver from Maiorca, whose Italian father is from Grosseto and mother from Maiorca, has been contesting also the European Championship and the International KZ2 Super Cup on CRG this year on CRG. Prosperi and his team M2 Racing Karts secured the 2017 Spanish Championship in KZ2 taking two third places in the two Finals held in Zuera and scoring further points with the first position after qualifying heats. Enrico Prosperi’s title was also made possible by the placings in the previous races held in Recas, Oviedo, Chiva, and the victory and second place hauled in the fourth round held in Alcaniz. Good results in Zuera’s KZ2 closer were also obtained by Gerard Cebrian Ariza, who claimed the fourth place in Race-1 and the sixth in Race-2 with RC2 Junior Team. Yohan Azedo Sousa, Alvaro Gomez Rubiera Oriol and Brice de Gaye managed to get into the top ten with CRG, as the latter claimed a first and second place in the two Finals reserved to the Silver category and ended third in that classification. 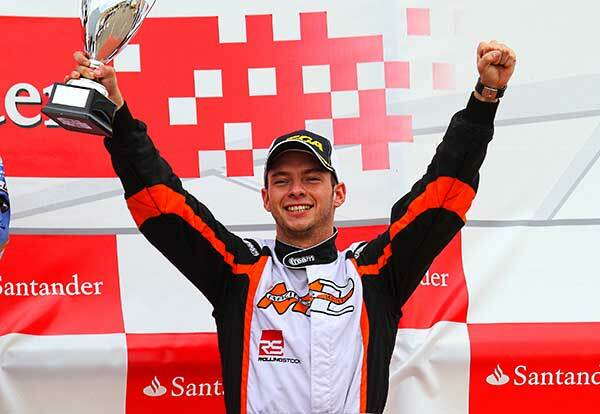 In Junior, Javier Sagrera Pont claimed a double podium on CRG-Iame, as he was third in Race-1 and second in Race-2. In the smallest category, Avelin, Alejandro Melendez Pardi was second in Race-1 and won Race-2 on CRG-Iame. 1. Enrico Prosperi (CRG-Tm) points 384; 2. Eliseo Martinez 374; 3. Luis Gonzalez 360; 4. Gerard Cebrian Ariza (CRG-Tm) 334; 5. Yohan Azedo Sousa (CRG-Tm) 333; 6. Jon Tanko Yurrebaso 319; 7. Miguel Noval Cueto 296; 8. David Manera 212; 9. Lisard Santos Gomez 183; 10. Brice de Gaye (CRG-Tm) 162.